The Museum of Science Fiction believes that science fiction is rich with ideas that can serve as a springboard for curiosity and project-based learning activities. Based on the belief that science fiction holds educational value for all ages, the Museum and its partner organizations will endeavor to develop and tailor our educational competitions to appeal to a wide variety of students, as well as the general public. 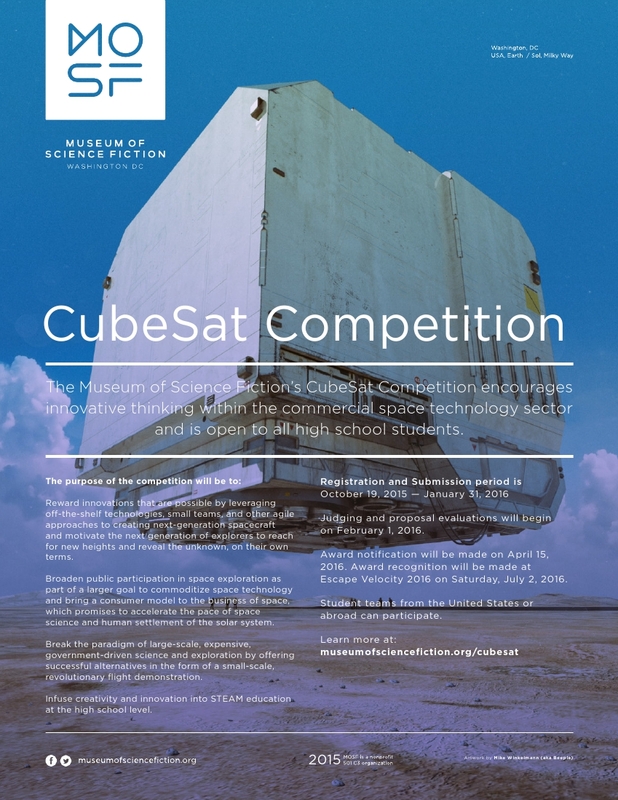 The Museum of Science Fiction’s CubeSat Competition aligns with its educational vision and encourages innovative thinking within the commercial space technology sector. This competition is open to all high school students. Student teams from the United States or abroad can participate. Motivate the next generation of explorers to reach for new heights and reveal the unknown, on their own terms. Student competitors will submit a mission design proposal for evaluation by a panel of industry experts and academic practitioners. Submissions to the CubeSat Competition shall consist of a 20-page research design and mission proposal based on the Submission Requirements (below) and a five to seven-minute narrative video. Submissions will also describe how the CubeSat will be de-orbited after completing its mission to be consistent with the existing practices and requirements for preventing orbital debris. Proposals are due on April 18, 2016. Innovation: a central element of the proposed mission must be a line of scientific inquiry, a spaceflight technology, a destination, or a system that demonstrates a space-business model that is new to the world. development, or economies of scale. Technical feasibility: the spacecraft may involve some risky technical development as part of its key innovative element(s), but overall the CubeSat must be within the capabilities of current technology. Budget realism: the cost of all the components, including labor to produce any custom parts, must be shown not to exceed $10,000. Labor for integration, test, and launch of the spacecraft system is not part of this $10,000. Research design proposals must comply with the Submission Requirements, Parental Consent (if applicable), and Official Rules (see below). 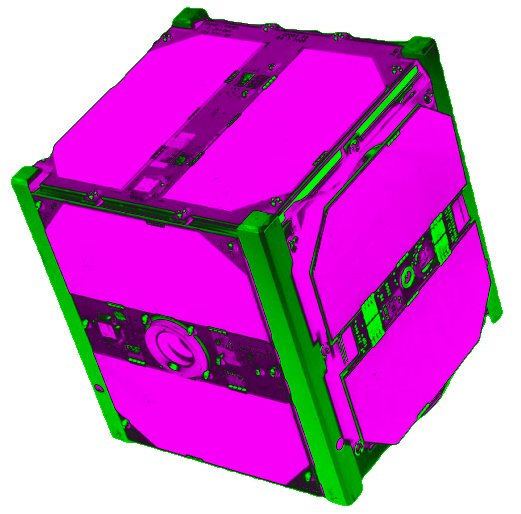 Thanks for your interest in the Museum of Science Fiction International CubeSat Competition. Your registration number will be sent to you soon. The registration and submission deadline is April 18, 2016 at 5 PM EST. After completing the registration form, a number will be assigned to you and must be included with all submissions. Nine prizes will be awarded. The winners (or winning teams) will have their mission design proposal funded, built, launched, and orbited/de-orbited. Data collected from the mission will be shared with participating schools and other research organizations for analysis and contribution to the field of study. Research findings will be published in the Museum’s triannual Journal of Science Fiction. Winners will be notified by email on May 9, 2016. Awards will be made at Escape Velocity 2016 on Saturday, July 2, 2016. The CubeSat Competition deadlines have been extended. Please see above information for details. anytime before 5pm EST on Friday, April 18, 2016. Press Release: Click to download. Official Rules: Click to download.